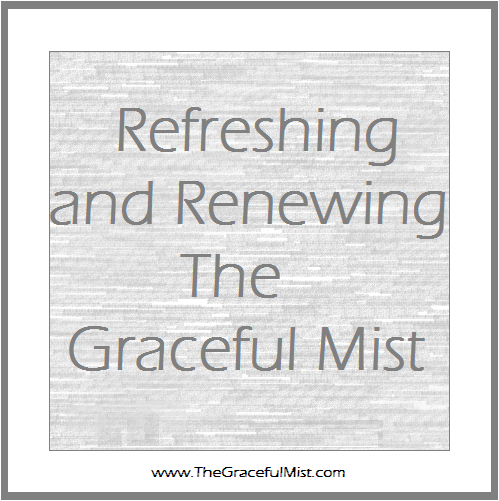 The Graceful Mist blog was created as a beauty, lifestyle and personal blog. It contained posts like beauty product reviews, personal and travel posts, and other random entries. It was cluttered. It didn`t have a specific purpose and direction so on January 16, 2015, all posts were removed from the blog in order to refresh its content. This blog had a few interactions in the comments already. Unfortunately, since the posts had to be removed from the site, all comments in the blog posts were also removed. Although this must happen, I`m optimistic that with the removal of old posts, better blog posts will be published. Just in case there are some blog posts that might be suitable to show in this blog, I will keep them posted in this blog soon after I`ve selected them. For this blog, I hope to create and publish posts that are more informative and helpful although it'll still contain personal entries. I hope that this blog will contain inspirational, valuable, and useful knowledge. Nevertheless, I`m thankful to those who read this blog in the past. Even though there weren`t many readers, I learned a few things by the interactions I had with them. I hope you`ll like and enjoy the upcoming entries in this blog. Please support this blog by coming back often to browse around the site. Thank you. starting anew is always a good thing - that's my firm belief! :) i wish you a more fruitful journey in your blogging. I do appreciate your purpose why you write blog. I notice that you keep on hoping. Better do it them and have your blog be regularly posted of what's new and more so an interesting content for that matter. Good luck. Good luck on the fresh start and I look forward to seeing what you'll be writing about in the coming months! It's nice that you are refocusing your site. I started blogging before with no purpose too but in time, it grows its own character. Yes just keep on writing and posting. readers will just come back if you update your posts often. Goodluck! It's a fresh start! Will you have a specific niche this time? A fresher way to restart a blog is always nice. I like your layout, quite clean and amazing.